Western fjords and Lofoten Islands, Norway : In the summer of 2011 we sailed up the entire west coast of Norway to reposition Widdershins to Tromsø in preparation for next year’s great voyage, and also to test all the systems to make sure she was ready for the trip. 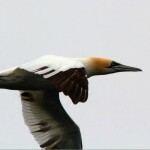 The voyage of over 1500 nautical miles took us through some of the most spectacular scenery in the country and as we sailed north beyond the polar circle a spectacular array of wildlife emerged from the frigid waters. 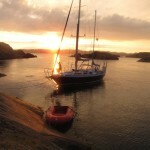 Shake-down cruise of Widdershins in Sørland, Norway: After buying our yacht SV Widdershins (previously SV Motgang) in February 2010, we needed to take her for a long trip to get familiar with her personality. While we planned a mammoth adventure, the myriad of beautiful islands and bays of Sørland in Norway’s south coast lured us into explorations of this wonderfully convoluted coastline. We made it to Flekkefjord (over 300 nautical miles from the journeys beginning in Oslo) but found ourselves too absorbed by the local landscape to travel quickly.